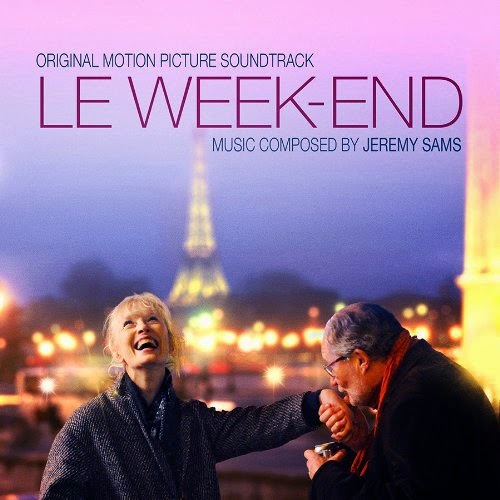 Revisiting Paris for the first time since their honeymoon, a long-married British couple (Jim Broadbent and Lindsay Duncan) run into an old colleague (Jeff Goldblum) who acts as a catalyst for them to recapture their youthful fearlessness, lack of responsibility and idealism. By turns sharply comic and deadly serious, Le Week-end, directed by Roger Michell (Notting Hill, Hyde Park on Hudson), is full of surprises. Long-term Roger Michell collaborator Jeremy Sams composed a jazz-infused score. It is expressive yet subtle and perfectly captures the mood of the city and the film's protagonists.